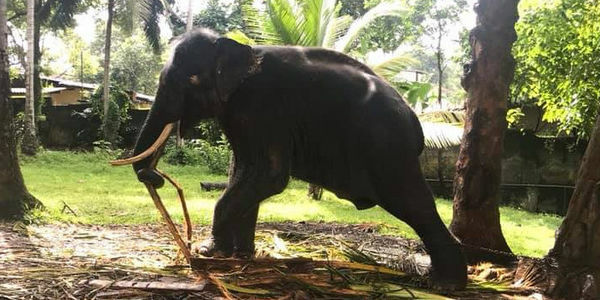 Miyan Kumar is an elephant that lives at the Bellanwila Buddhist Temple in the Colombo District of Sri Lanka. He lives his life chained tightly to a tree, as you can see in the picture above. On January 21st, a video surfaced of him being bathed in dirty water and being beaten by his mahout or handler. Sign the petition to ask the temple that he be taken care of properly and treated with the care and compassion that he deserves.